The ultimate purpose of The 2 Spies is to encourage those who are eligible, to make Aliyah. Today's post was not written by any of us but rather it is an article from Ynet News. The article tells of the decision of 189 young men to leave all and move to Israel, making Aliyah directly into the IDF (Israel's Army). May you be inspired by their courage. When a young person is in the army with no family in the Land, they are called chayal boded a 'lonely soldier'. Today's post is dedicated to a young man who has the Spirit of Joshua. He came to Israel alone to do his army. He put forth his best effort and became a medic in the paratroopers. He served faithfully and fearlessly during the Intifada. He, like the first 2 spies, knew that the giants would not devour him. He knew it is a pleasant Land, a Land of Milk & Honey. Thank you. On Monday, 189 soldiers from 30 countries stood in uniform on the parade ground of the Michve Alon military base near Safed. There were almost no guests in the audience, as most of them are 'lonely soldiers' who parted from their families in order to join the army ranks. 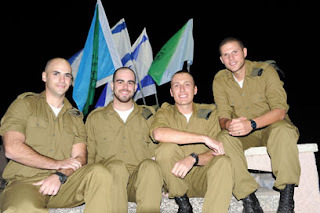 Recently, the IDF has reported a sharp increase in the enlistment of new olim, who do not speak Hebrew, but insist on serving in combat units. 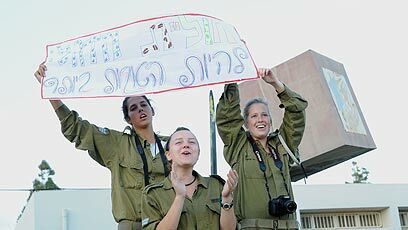 More and more youngsters with academic education have been making aliyah in recent years – and despite their poor language skills - want to serve as combat soldiers, even though some may be well over 24 years-old. Hours before the graduation ceremony, Base Commander Raz Karni entered the company's dining hall. "Who's going to be a warrior?" he asks the fresh soldiers. Only few hands go up in the air. "Combat. Who's going to combat?" one of the commanders quickly rephrases the question. This time, a slew of hands are waved in the air enthusiastically. "This exactly shows the nature of this group," explained Major Keren Kamerinski, who commands the olim military course, "This young gang is fueled with motivation, and come here to learn everything from scratch. They hardly speak the language, but do not give up on having a significant military service." Some 400 soldiers stood at the base's parade ground. Alongside the new olim were also soldiers from the Harel Company, whose members have been in Israel for up to ten years. They have relatively good command of the Hebrew language, and therefore came for "only" three weeks of training ahead of their military service. But the newer immigrants have just completed a three-month program, in which they combined practical army training with Hebrew lessons. They also studied about the Israeli mentality and were infused with some zionsm. As part of the program, the soldiers took classes in Jewish identity, the holocaust and Israel's holidays. More than half of the soldiers in the two companies are considered lonely soldiers and hail from Russia, the United States, France, Britain, Germany, Cuba, Sweden, Brazil and other countries. One of the program's graduates is 26-year-old Yitzhak Pinhas, who formerly worked for NASA in New Orleans. Pinchas admitted he fulfilled the American dream with "A good job, a house and a dog," but decided to move to Israel and join the army. "I felt I was missing out on something significant. 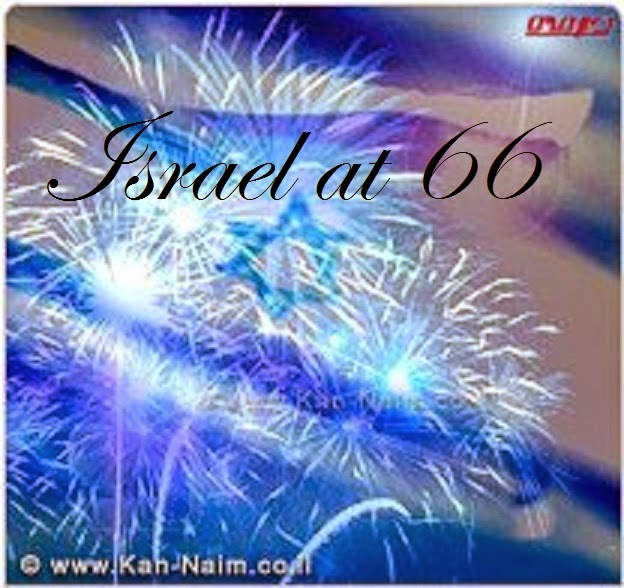 I think it is important to contribute to Israel, in any way possible," he said. Neumann, 26, was looking for the same calling. He worked for a successful firm in Boston before coming to Michve Alon. He will soon receive his red beret and join the paratroopers unit. Twenty-four-year-old Ashley Fairfield came from England two years ago, and recently married his girlfriend in Jaffa. He felt it was not enough to volunteer with Zionist organizations in the UK, and decided to move to Israel and join the IDF. David Ben Ari, 20, already earned his BA in mathematics and physics from Harvard University. 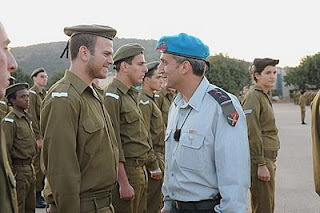 "Now I'm taking some time off to serve in the IDF," he explained. During the graduation ceremony, Lieutenant Colonel Karni addressed the soldiers: "The IDF and the State of Israel are proud of you. You are serving in the army of all people, where there is no distinction between soldiers. 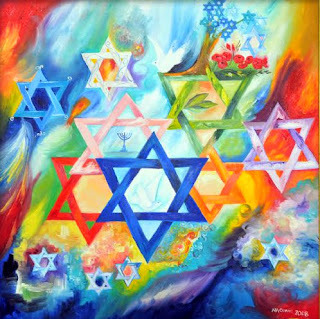 It is the army of the Jewish nation, an army that must always remain strong."